Could my Car Friend me on Facebook? I finally weakened and let Detroit have some of my hard earned cash. Six days ago I collected my first new vehicle since 1981. 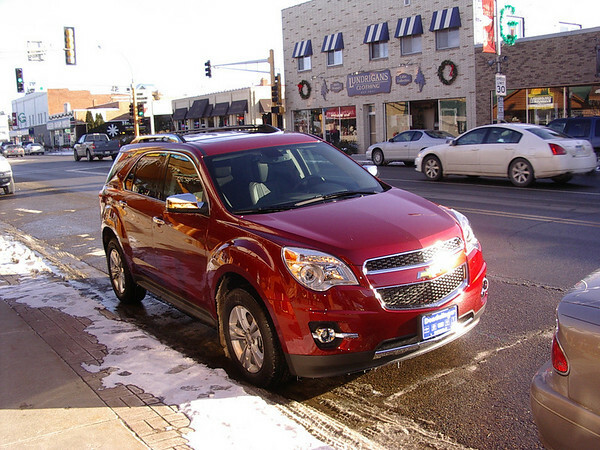 A very nice Chevy equinox LTZ. I picked it up with 11 miles on it. The nice young lady at OnStar even gave the vehicle a telephone number. When I got back to Benedict I found my trusty 1994 Chrysler LHS had already sold in the space of a couple of hours. We had already said our goodbyes after nearly 100,000 miles and nearly eight years faithful service. On checking my Email, I found my car had already Emailed me as soon as I had taken delivery. The Email informed me that health status was good with all engine, transmission, stability codes and tire pressures listed. I got up Tuesday and it was cold day at the lake, now covered in ice and a blanket of snow. I had to make my way to Eagan for an AES meeting at MPR studios yesterday. The electric heat was rippled out, so I went down to the fire which was still in, and built up a roaring fire. I then went over to my laptop to check the mornings offerings. Right there another Email from the Chevy. It informed me the tire pressures were low. It happens in cold weather. It took me aback though. You can’t be Emailed from a inanimate chunk of metal. Can you? I thought not. The old Sage of Donnebrog Nebraska, Roger Welsch must have been right all along. Machines do have souls after all! So she must have a name. Whenever my father got a call from the office, the secretary was always Flossie. So these messages had to be from Flossie. So Flossie she is! So after packing up I went to the shop and switched on the air compressor. Since Flossie had sent me such a nice message, and was so concerned for my safety, I could not possibly disobey. So all tires where set at just a hare over 35 lb/Sq.in. in case it got colder. Flossie told me via her message center she was relieved and satisfied. As I moved off, Flossie flashed a message to be careful of ice. We had a good journey down, and I held her below 68 mph, with no harsh acceleration or braking. I frequently let the power off to make sure Flossie’s rings seal well, all part of the bonding process. Coming in on I94 about six miles from the Lowry tunnel, Flossie suddenly turns down the radio and gently says, “slow moving traffic six miles ahead 6/10 of a mile long.” As I turn onto Crosstown MN 62 Flossie says “stop and go traffic 7/10 of a mile long.” In both instances Flossie was right and knew before I did. This morning in addition to ice, Flossie flashed a weather update to warn of snow. Flossie guides me with a moving map. 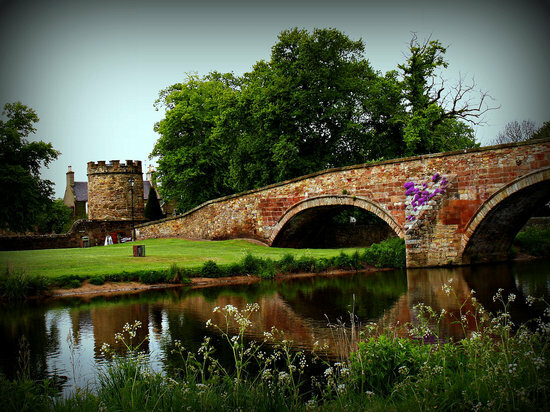 If I should get lost, all I have to do is tell Flossie my destination and she will guide me to it. What a friend in need. When I back up Flossie shows me a good rear view on her sat nav. screen and car length grid. As I was backing out of a parking space at Trader Joe’s this morning I had a clear view to rear on screen and visually. As I looked to my front so as not to scrape the vehicle behind me, Flossie sounds a mighty alarm. I look to the screen and a pedestrian is right behind Flossie seemingly having appeared from nowhere. Lucky for me and especially the pedestrian Flossie is ever vigilant! This has all got me thinking about the bonding of men and machine. I think women also bond, but perhaps not in the way men do but I could be wrong about that, may be they don’t own up to it as often. Then there is Thomas and Friends with very human faces on the engines, that in the stories have a will of their own. Herbie the Lovebug very much comes to mind. In my career I have certainly had farmer patients who have had strong emotional bonds to their machinery, especially old tractors. Sailors have long been known to develop very strong emotional bonds with their vessels, especially after difficult passages. I certainly don’t mind admitting I bond with my machinery. Not a bad thing really, it all helps needed maintenance become a pleasure rather than a chore. Dues are then being freely granted to an old friend. So now the machinery can talk to you and send you messages through the Ether, how will this affect the depth and incidence of bonding? My guess is that human machine bonding will occur quicker and deeper than before. I can tell you in less than a week Flossie and I are fast friends. I’m just waiting for a Facebook request from my new friend. 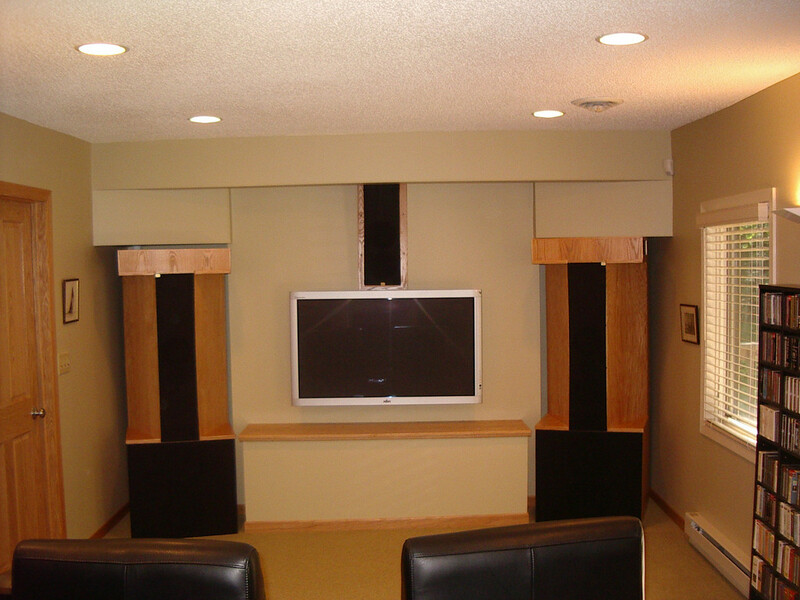 Here is a cost effective three way speaker. It uses the paper coned Peerless SLS 830668 woofer, the Audax carbon fiber HM130C0 as the mid range and the soft dome Vifa 27TG-35-06 Tweeter. This makes a very decent three way speaker with an F3 of 26 Hz. Here is the optimal box for that woofer. Note that driver and vents will displace about .2 cu. ft. Here is the sealed mid range cavity. The driver displaces about 0.01 cu. ft. These second order APC (Linkwitz Riley) slopes, which produce composite slopes that are pretty much third order. The cross over points are 350 Hz and 3 kHz. This allows for the band pass to be 3 octaves, encompassing most of the speech discrimination band. Minimum impedance is five ohms. There is optimal diffraction compensation. There is a slight peak centered at 650 Hz from the mid range driver of 3 db which has not been notched. 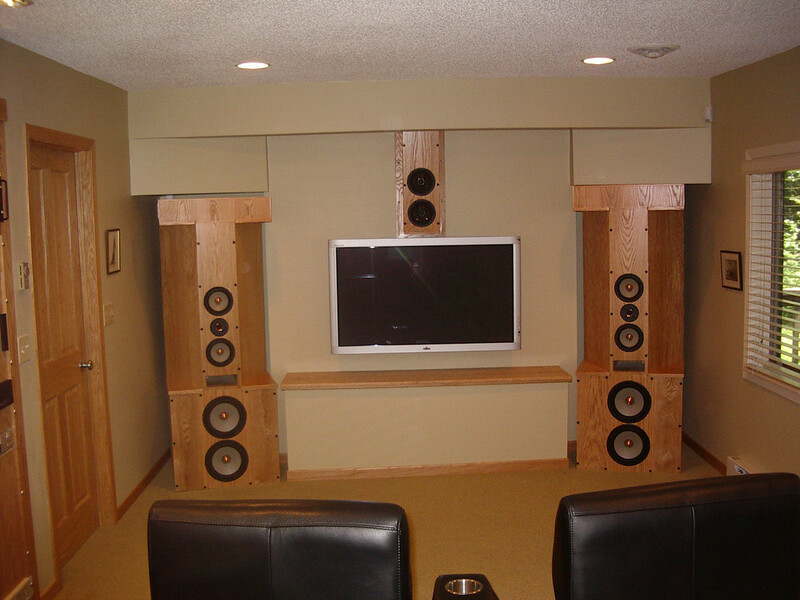 I would feel inclined to build the speaker with a narrow top and broad base. It will not matter if the band pass enclosure is over sized. I would put the tweeter at the top, with the band pass driver below, and the a board below that to make the top of the speaker enclosure the tweeter/band pass enclosure, and have the bass enclosure below that. Quarter round should be placed as trim all round the edge of the front panel. It should be an attractive good performing speaker.